Arcade Fire - I-Day Festival 2010. Reloaded 10/May/2015 - This is Arcade Fire in concert at the I-Day Festival in Bologna, Italy, back on the 2nd September 2010. The tour in support of the release of The Suburbs album was in my opinion their best yet and musically this is a very good example. However be warned, a rather annoying Italian DJ pops up on occasion practicing his skills (or inflating his ego even further) as this concert was broadcast live on FM and this recording sourced from that broadcast. From wikipedia regarding recent events for the band - On January 13, 2011 it was announced that Arcade Fire would perform at the 53rd Grammy Awards in February 2011. The band was nominated for Grammy Awards in three categories: Album of the Year, Best Rock Performance by a Duo or Group with Vocal, and Best Alternative Music Album (for The Suburbs). Out of the three nominations, they won the award for Album of the Year. Welcome to our second new music round up for May 2015 and we begin with Brontosaurus. The song 'Safe To Surface' came my way a few days back without very much other information. A quick listen to the song had me wanting to know more and thankfully this was followed up by more detail on the band. 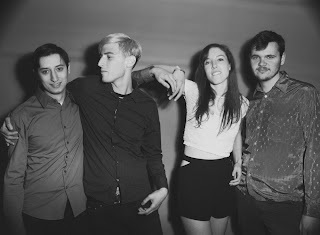 A quote from 'redeyeChicago' makes my life easier they described the bands music as - "Combining disparate elements of folk, chamber pop, math rock and more, it’s difficult to pick up echoes of other acts, as the band’s music is wholly its own". Reloaded 08/May/2015 -Emmylou Harris contributions to country-rock, the bluegrass revival, folk music, and the Americana movement are widely lauded. I am always pleased that I got to read a review of 'Elite Hotel' her second solo album, back in 1976 when it was first released. Not only did I love the album, it helped me discover the country rock genre of that time, and set high standards, that helped me avoid the more 'cheesy' country artists. She remains a firm favorite of mine. 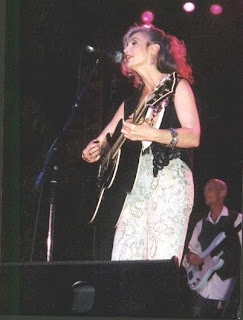 This concert was Emmylou Harris and The Daniel Lanois Band at the Shepherds Bush Empire, London, England on the November 23rd 1995. This is a republication of an Emmylou Harris concert we first featured in October 2007 and the download includes four tracks missing from the original feature, which therefore now makes this a full concert archive recording. Genre: Americana, country, country rock, alt country. Source: Soundboard and FM Stereo (BBC Radio Two). Reloaded 08/May/2015 - This is the second live performance from Gillian Welch and Dave Rawlings to be featured on Beehive Candy, because it's just a great selection of songs and a superb gig. 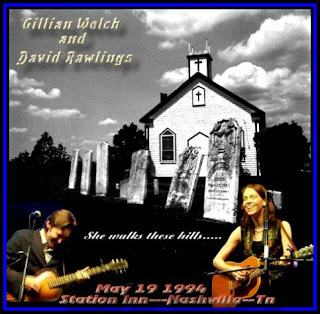 The notes that came with it suggest that this is "one of the (and possibly the) earliest circulating Gillian Welch/David Rawlings live performances, sourced from a soundboard recording. Essential listening, including a range of pre-Revival material no longer played live, in much better quality than the San Francisco pub gig that forms part of the Working On A Building set". The concert took place at the Station Inn, Nashville, TN, back on May 19th 1994. This is an unashamed plug for Pree. Totally unashamed and I do not care!I will add that Paper Garden Records who released Pree's latest album Rima earlier this week, seem to have a knack in finding great artists, Little Tybee and Eli Mardock to name just two others. So what's all this Beehive Candy being even more upbeat about a new recording than normal, bearing in mind we tend to write only about music we like anyway! Well cards on the table, I have loved Pree's music since the above mentioned record label first introduced them to me a few years back. This is Hawkwind in three parts, concentrating on rarities from 1970 to 1980. It is also an introduction to another website that if you enjoy Hawkwind's music should know about (perhaps you already do, but no harm in sharing the details). One of the fascinating things about unofficial recordings is the various sources they come from and the levels of audio quality available. These three recordings kind of demonstrate this. Reloaded - 05/May/2015 This is R.E.M. recorded live (soundboard sourced) at one of the bands local venues namely Tyrone's O.C., in Athens GA, USA, way back on the 23rd September 1981. This recording features both sets and includes the sound check (not proven but by sound quality etc generally agreed to be from this gig). This was the bands 26th gig at Tyrone's O.C. the first at this venue taking place just over a year earlier on the 6th May 1980, and that performance was only their 5th ever full live gig. As regular home town shows go, the band sound incredible, full of natural energy, respectful of a growing local following and clearly enjoying and developing their craft. Reloaded 05/May/2015 King Crimson made their live debut on April 9th, 1969. They became widely known three months later, by playing at the free concert in Hyde Park, London, staged by The Rolling Stones in July 1969, before 650,000 people. The first King Crimson album, In the Court of the Crimson King was released in October 1969. Among those impressed by the album was Pete Townshend from The Who, who described the album "as an uncanny masterpiece." 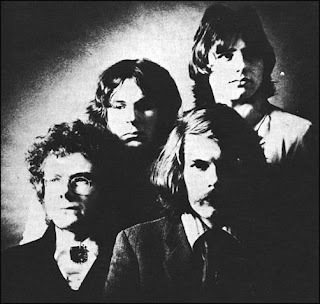 King Crimson (along with quite a few other bands) have been credited as the founders of progressive rock - I am never really sure if that is a good thing! This is King Crimson live at The Fillmore West, San Francisco, on the 14th of December 1969. King Crimson were the opening act at the Fillmore West on this particular night, providing support for The Chambers Brothers and The Nice. Not only was this the final night of King Crimson's first U.S. tour, it was also the last concert played by the original lineup. Reloaded 03/May/2015. This is Louis Armstrong performing at the University of North Carolina, Chapel Hill, NC, USA, way back on the 4th May 1954. During the 1950's Louis Armstrong and His All Stars undertook a considerable amount of touring. Also his recordings 'Satch Plays Fats, all Fats Waller tunes', and 'Louis Armstrong Plays W.C. Handy' both released in the 1950s were perhaps among the last of his great creative recordings. Following a highly successful small-group jazz concert at New York Town Hall on May 17th, 1947, featuring Armstrong with trombonist/singer Jack Teagarden, Armstrong's manager Joe Glaser dissolved the Armstrong big band (August 1947) and established a six-piece small group featuring Armstrong with (initially) Teagarden, Earl Hines and other top swing and dixieland musicians, most of them ex-big band leaders. The new group was announced at the opening of Billy Berg's Supper Club.